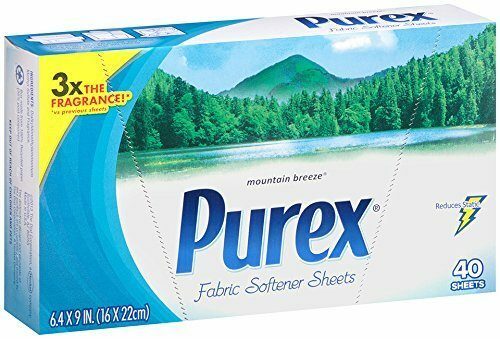 Purex Dryer Sheets, Mountain Breeze, 40 Count Just $1.61! You are here: Home / Great Deals / Amazon Deals / Purex Dryer Sheets, Mountain Breeze, 40 Count Just $1.61! Great Price! Order the Purex Dryer Sheets, Mountain Breeze, 40 Count for Just $1.61! This Add-on item ships with any qualifying order of $25+. Save even more if you have 5 items on Subscribe and Save! Keep your whole house smelling fresh! Just choose your favorite fragrance and tuck a sheet in hampers, in the linen closets, and any other laundry storage areas.